PHINMA University of Iloilo was originally established as the Iloilo City Colleges (ICC) in 1947 by the then Mayor of Iloilo City, Mr. Fernando H. Lopez. In 1954, Mr. Lopez, who was then the Vice President of the Republic of the Philippines, took on the helm of ICC upon the resignation of Dr. Gabino Tabuñar who was then the school president. In 1963, ICC opened a Graduate School to assist teachers and administration personnel in their professional growth. Three years later, speech laboratories were established for both undergraduate and graduate language classes. The College of Criminal Justice was also opened which gained popularity within Western Visayas due to its laboratory facilities which included infrared microscopes, lie-detectors, and paralyzer shields. On December 17, 1968, ICC was granted the University status and was renamed to the University of Iloilo. 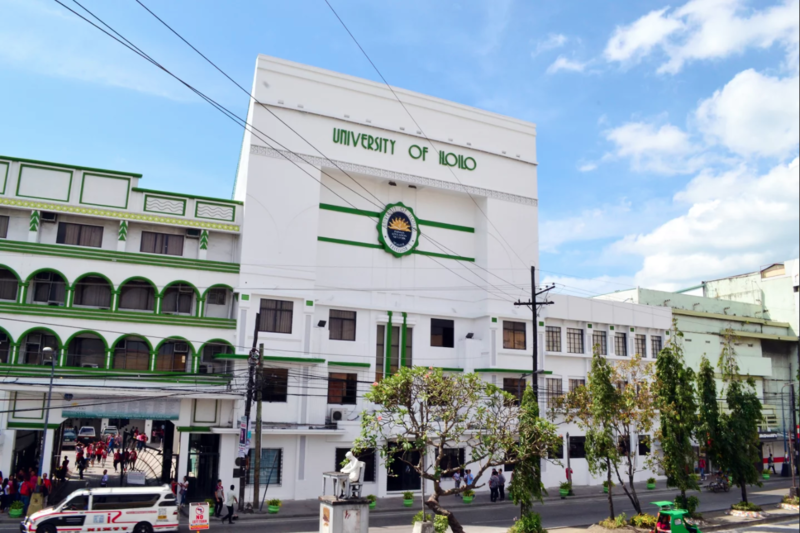 Four years later, the University of Iloilo acquired the Philippine Women’s College in Jaro, Iloilo, which was converted to the Don Benito Lopez Hospital. In 1991, the Department of Education, Culture & Sports acknowledged the University of Iloilo as an excellent school especially for its College of Criminology. In 1993, the Colleges of Law, Arts and Sciences, and Education were granted a Level II accreditation status by the Philippine Accrediting Association of Schools, Colleges and Universities (PAASCU). During the academic year 2000-2001, the College of Engineering was awarded the Certificate of Compliance with the requirements set forth by the ABS Quality Evaluation Incorporated, certifying that University of Iloilo is one of the schools in the country that is authorized to offer the maritime education program. The University of Iloilo has since strengthened its community extension program through the Community Extension Services Center (CESC) which includes educational assistance, training, tutorial services, values-oriented classes, and livelihood and environmental projects. In April 2009, the University of Iloilo was acquired by PHINMA (Philippines Investment Management Consultants) and officially became part of PHINMA Education Network (PEN). Over the recent years, it is now more popularly known as PHINMA University of Iloilo or PHINMA UI. It has significantly improved the quality of its education as proven by its consistent board performance in Education, Nursing, Criminology and Accountancy. In September 2016, it inaugurated the Oscar J. Hilado Hall or OJH Hall which houses the Student Commons, the Manuel V Pangilinan (MVP) and Washington SyCip Boardrooms and 3 classrooms. Simultaneously, it also inaugurated the Alejandro O. Que Hall, otherwise known as the Student Commons. Mr. Hilado has been Chairman of PHINMA Inc’s Board since 2003 while Mr. Que was one of Iloilo’s prominent community and business leaders. Early in 2017, it started the construction of the Felipe A. Uygongco Hall which will house the Alumni and Faculty Lounges, four new classrooms and student hall. The hall is slated to be completed in December 2017. It is named after one of PHINMA UI’s Board of Trustees who is also an alumnus and a successful businessman in the shipping, hospitality, commodities and trading industries.